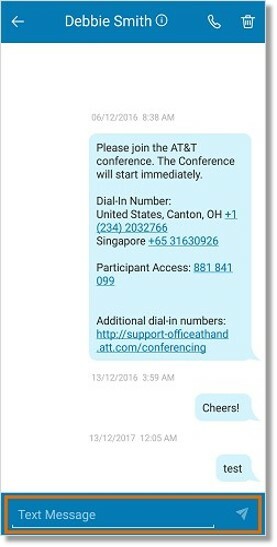 You can access your received voicemail, fax and text messages in the Messages section of your AT&T Office at Hand mobile app. 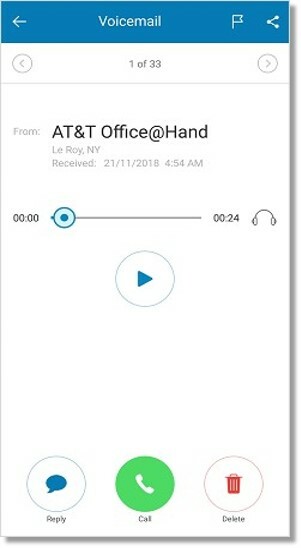 You can access your received voicemail, fax and text messages in the Messages section of your AT&T Office@Hand Mobile App. You can access this menu by tapping the Messages icon at the bottom of the Mobile App screen. 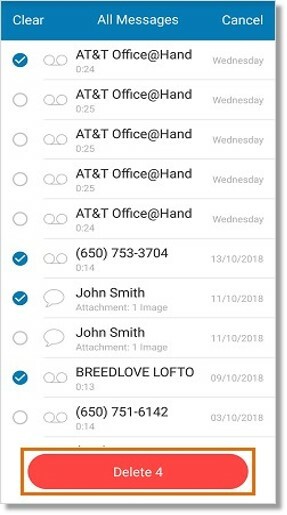 Note: Messages you send via the Office@Hand Mobile App are stored in the Sent Items folder of your Office@Hand Online Account. Note: You will be able to see the Sender’ s Details by tapping the Information icon next to the message. The information that you will see includes the Phone Number that your caller dialed to reach you. The Sender’ s Contact Info page should allow you to Call, Text, Fax, Block, or Add the Sender to your Personal Contacts List. Tap the drop-down arrow to filter your messages. You may filter your messages to display All Messages, Text, Voicemail, or Fax. Tap the space provided at the bottom to reply, then tap the Send button. Tap the Delete icon to delete the message. You can also tap the Call icon to call the contact that sent you the message. When previewing a voicemail, you can Play and Pause the message. You can listen to your voicemail via the speaker or use your earphones or headset. On the top right part of the screen, you can tap the Flag icon to make the message as read/unread. Tap the Share icon to share your received voicemails to any app directly from the detail screen. The bottom part of the screen lets you send a reply or call the sender of the voicemail. You can also delete the voicemail. When viewing a Fax message, tap the icons on the top-right part of the screen to Delete, Flag as read/unread, or Share the fax. When sharing a fax, you have the following options. 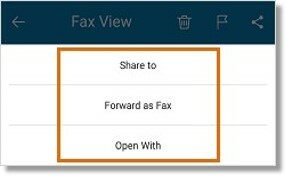 Tap Share to lets you share the fax directly to other apps on your mobile device. 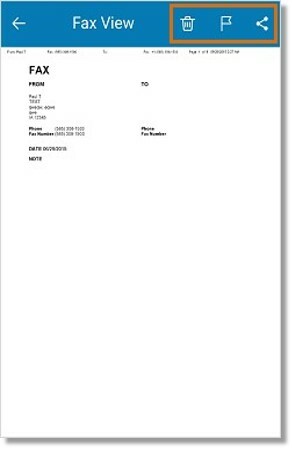 Forward as Fax allows you to send the fax to another contact. Open With lets you open the fax message on another app on your mobile device. 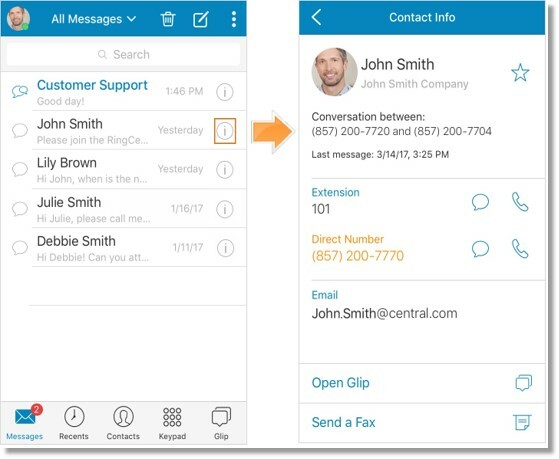 When viewing All messages, or when in Text, Voicemail, of Fax view, tap the delete icon . Select multiple messages to delete, then tap the Delete button at the bottom part of the screen. Tap Clear to delete all messages. Tap Cancel to skip deleting the messages.